Go fast forward into the future, watch glowing lights as you whizz them by at high speed, looks pretty amazing. This video loop is ready for your big video screens, add it to your video collections to be well prepared. 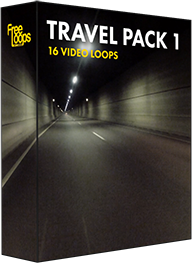 This video loop is part of Travel Pack 1.